In a survey of 1000 people conducted by ColdEeze.com, the majority of employees think their colleagues are lying or faking being sick when they call in to report they won’t be coming to work that day. The study claimed that a ‘whopping 80 percent admitted that sometimes they don’t think their colleagues are telling the truth’. We all have off days or days when we need downtime but lying is not what you would expect from an engaged employee who is committed to their organization and cares about their work. You might expect to see this from disengaged workers, however, who have lost or maybe never had a close connection to their place of work. Calling in sick might be a red flag that an employee is just not that into you and here are some signs they might not be telling the truth. 1. I don’t feel well. 5. “Issue” with their home. 1. It’s a Friday or Monday. 2. They seemed fine the day before. 3. They sound fine/not sick on the phone. 4. It’s a day after a holiday. 5. They repeatedly call in sick. 6. Their excuse is weak. 7. Coincides with event/ occasion they have been already discussing. 8. When they start preparing you the day before for being sick. 9. Talking about their activities that happened the day they were away. 10. Colleagues can’t keep up with the lie they told/they tell more lies. If you do have employees who come to work sick, they need to be told to go home. 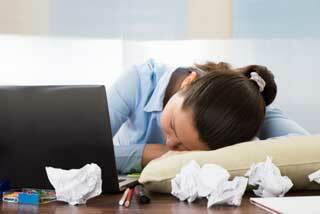 Coming to work sick is called ‘presenteeism, a situation that some argue is more costly than absenteeism. Researchers say that ‘Unlike absenteeism, presenteeism isn’t always apparent: You know when someone doesn’t show up for work, but you often can’t tell when—or how much—illness or a medical condition is hindering someone’s performance. Studies show that being sick on the job can cut productivity as much as 30%. Presenteeism can spike and be worse during economic times when people are afraid of losing their jobs. And studies published in the American Medical Association have found the ‘on-the-job productivity loss resulting from depression and pain was roughly three times greater than the absence-related productivity loss attributed to these conditions. That is, less time was actually lost from people staying home than from them showing up but not performing at the top of their game’. So while you are dealing with people on one hand who are faking their illness, you also need a plan to deal with the employees who insist on coming to work sick and getting them to stay home. 1. Make managers aware of the problem. Not everyone realizes or understands the downside to coming to work sick. 2. Understand the health issues facing your employees by starting with a formal survey that puts health issues on the front burner. 3. Educate employees by setting up programs so employees’ illness aren’t going undiagnosed or are being misdiagnosed. 4. Teach employees how to better manage their illnesses. Try hosting lunch and learns with healthcare specialists on specific topics like dealing with depression, arthritis, migraine headaches to provide information support and treatment options. The goal is to have a healthy workforce. If they are lying to you, that is one problem. If they are coming to work sick, that is another. An employee survey that can be customized to focus on employee health could be a worthwhile investment to find out what is happening at your organization.